As a parent, one of the last things we want to have to worry about for our children is food harming them, but as a food allergy parent, its something that is a constant worry and always on our minds. As I've blogged about previously, our daughter has allergies to both peanuts and tree nuts, and sometimes that makes snacking a bit of a challenge for her. We read labels, a lot. And sometimes I buy things and forget to read labels until we get home which means that sometimes we accidentally buy things that we can't use. Candies and sweets that most people can eat without giving it a second thought, we have to avoid or worry that it could potentially make her have an allergic reaction. But with Skeeter Nut Free, our daughter can snack, worry free! Now that's something to celebrate! 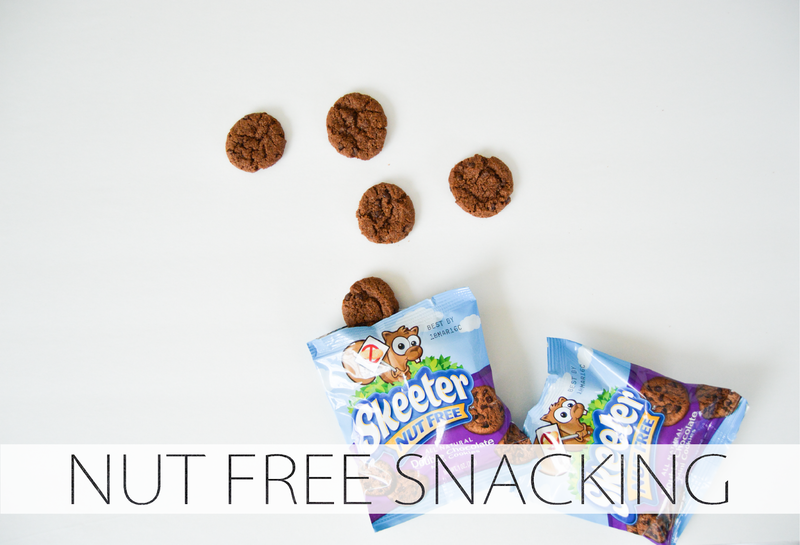 Skeeter Nut Free snacks are made in a completely nut free and peanut free facility with extremely strict testing protocols in place to maintain you or your child's safety, and all Skeeter Nut Free snacks are also free of coconut! 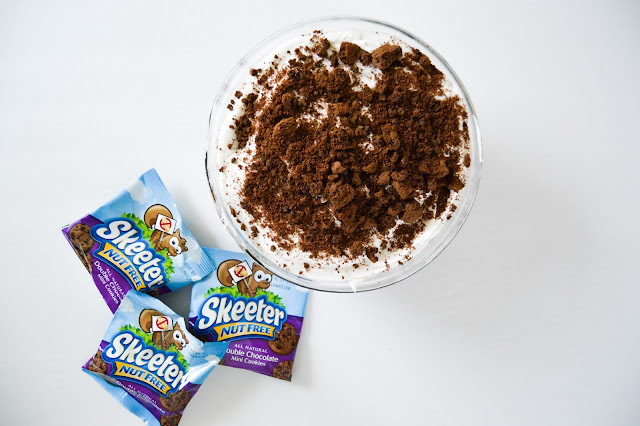 One thing I love about this company is their heart for family, in May of 2012, two Dads, who both have children with food allergies came together to create what we now know as Skeeter Nut Free. 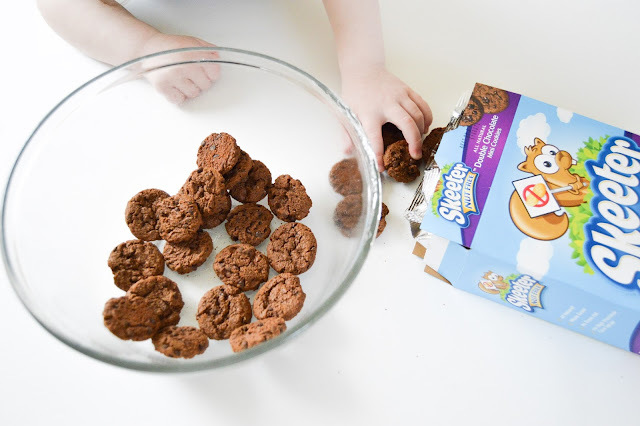 These parents are driven by the first hand knowledge of how hard it is to maintain an allergen free environment and by the food industries lack of nut free foods and snacks and they are on a mission to create safe snacks readily available for those with nut allergies. Something all we food allergy parents can get behind, because we know just how hard it is, go to any store, pick up almost any package and it'll either say "made in a facility that processes peanuts and tree nuts" or "made on equipment that processes peanuts and tree nuts", seriously, almost every single package you pick up will say that. Did you know that peanut and tree nut allergies are not only one of the most common food allergies, but some of the fastest growing allergies AND most dangerous food allergies? That on average there is at least one, and sometimes more, child with food allergies in every classroom in the United States? Skeeter Nut Free is there to be inclusive for those with nut allergies, and is loved by those without nut allergies as well! These are the perfect addition to your child's lunchbox or snackpod whether your child has food allergies or not. 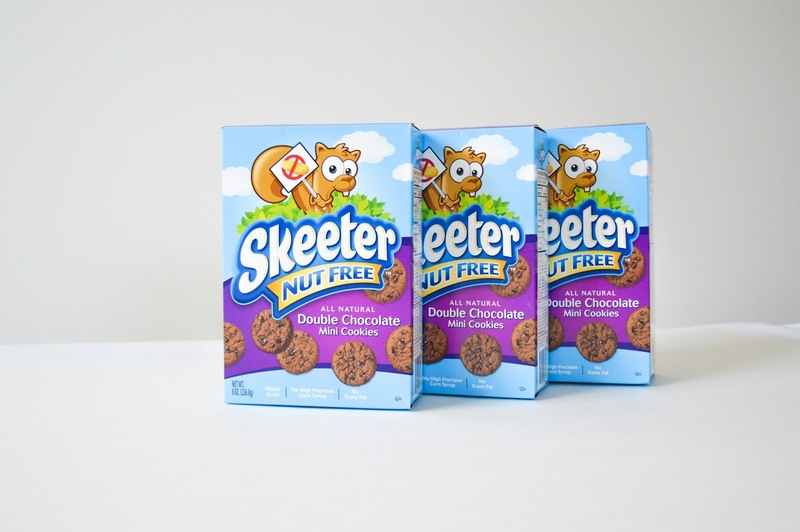 By sending Skeeter Nut Free snacks in your child's lunchbox rather than most traditional brands, you're not only keeping every child safe but also feeding the kiddos a healthier option, since Skeeter Nut Free snacks are all natural, made with whole grains and contain no high fructose corn syrup and no trans fat! Yay! Everyone wins! They're also affordable and won't break the bank. Now by now I'm sure you're wondering, where can I buy these amazing cookies?! They're readily available for purchase though Target.com (click here to purchase), Amazon.com (click here to purchase), Wegmans, Price Chopper and Safeway just to name a few. And who is that adorable little squirrel? Well, I would love for you to meet Skeeter! Skeeter is the most adorable little squirrel who was born with nut allergies. As we all know, squirrels LOVE nuts, so it's harder for him, all of Skeeter's friends were always talking about, hiding and eating nuts, which made Skeeter feel left out. That's why he loves Skeeter Nut Free snacks, because they're safe for everyone! Every time you see Skeeter the squirrel on a package you know its' safe for you and everyone! 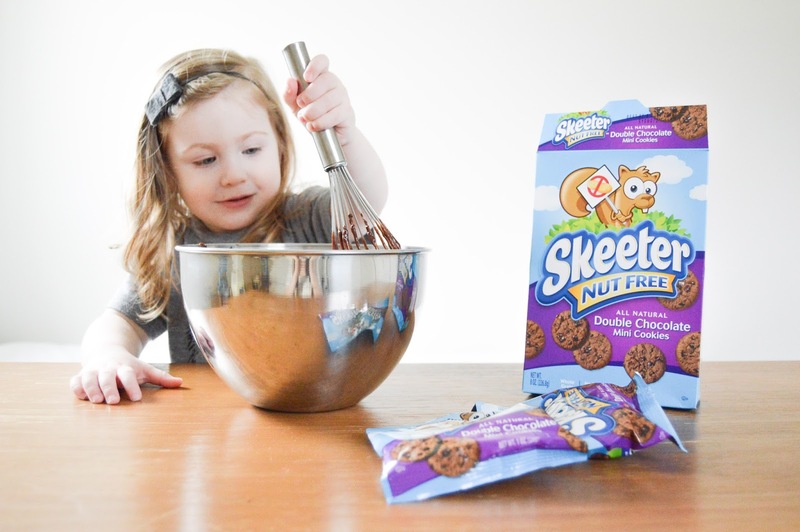 My daughter and I took the liberty of creating a safe, fun, easy AND delicious dessert using Skeeter Nut Free cookies and we're excited to share the recipe with all of you below! This dessert is perfect for your next picnic or potluck, only takes about 10 minutes from start to finish to prepare. It's so easy a 2 year old can make it (with a little help from a parent of course). No seriously, Bella loves helping in the kitchen so this was perfect for her, I helped a little bit but mostly just oversaw her making it! 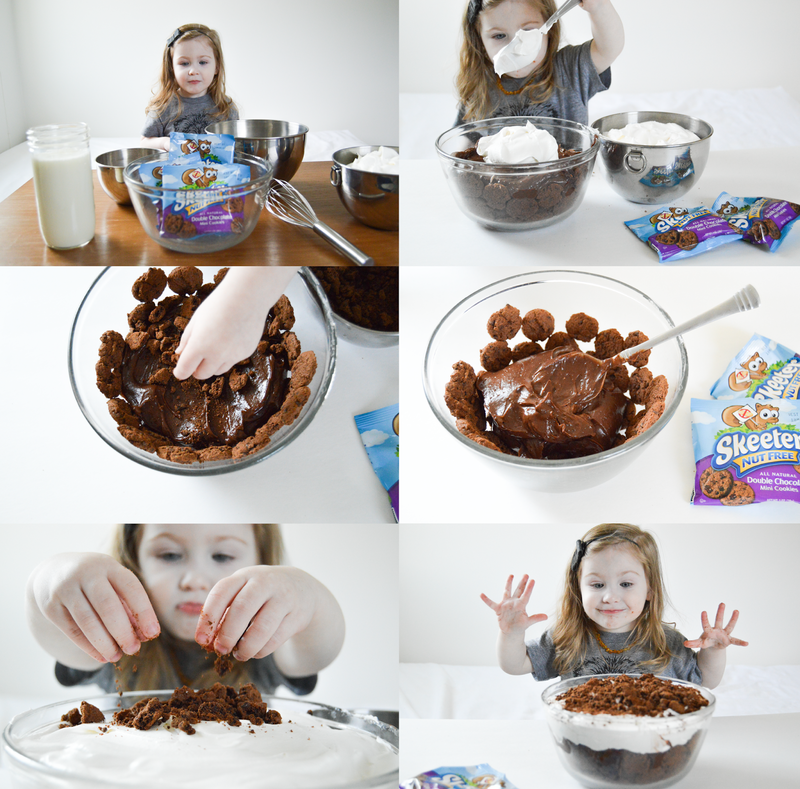 It's something you'll want to make again and again AND eat again and again! 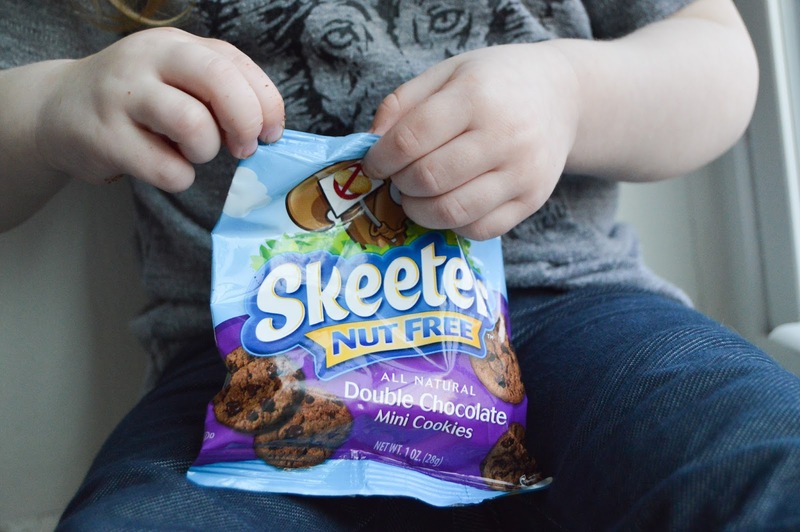 Line the bottom and sides of your dish with Skeeter Nut Free Double Chocolate Mini Cookies. In a separate bowl, mix the milk and chocolate pudding mix together with a wire whisk until the pudding is completely mixed together and starting to thicken. Pour half of your chocolate pudding over the cookies that you've lined up. Once you've done that, crush up some cookies and sprinkle over the pudding, then pour your remaining half of the pudding over the crushed cookies. 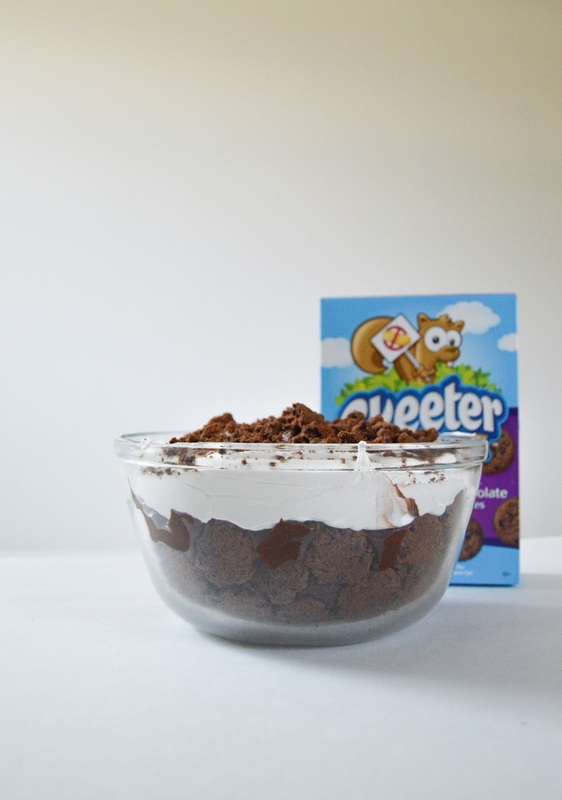 Spread the whipped topping over the pudding and sprinkle the top with more crushed Skeeter Nut Free Double Chocolate Chip cookies. Aaaand... You're done! Seriously, it's THAT easy! Chill in the refrigerator for a few hours and enjoy! Skeeter Nut Free has so many snack choices available... Honey Grahams, Cinnamon Grahams, Double Chocolate Mini Cookies, Chocolate Chip Mini Cookies, Shortbread Mini Cookies... be sure to check them all out and snag a few boxes for yourself or your little(s)! Happy (Safe) Snacking Everyone! I was compensated as well as received product for my open and honest opinion. As always, I would never review a product that we don't love and doesn't align with our lifestyle. Thank you for this! I will share with a parent of a student at my school with a peanut allergy. 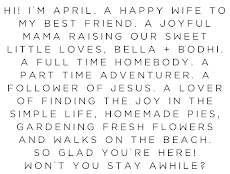 What's in Bella's Easter... Backback?